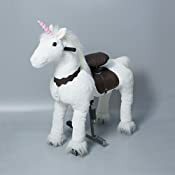 UFREE-HORSE (Action Pony) is a ride on horse toy that can walk without power.You probably loved to or wished you could ride horses and ponies when you were a kid. It's just something most kids love to do. Anyone can ride UFREE-HORSE, even you are not kid anymore. UFREE-HORSE has very similar appearance with the real horse. It uses high quality plush material and leather to make the appearance, covering the sturdy steel frame and sophisticated drive system. 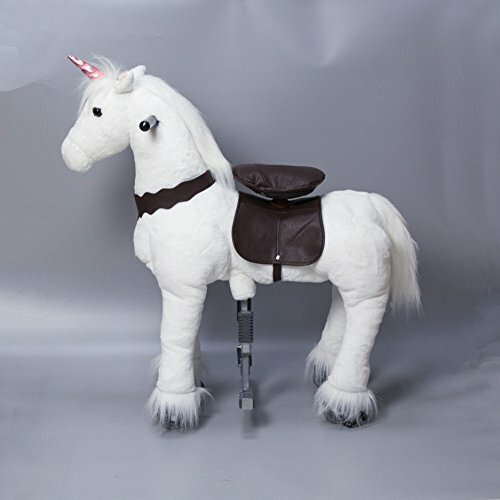 It is the syntheses of stuffed/plush toy, rocking horse toy and moving ride-on toy. The biggest characteristic is that it does not need any battery or petrol power to make it run. 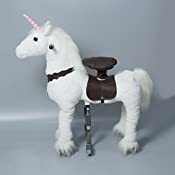 The action pony will run when rider's body bounce up and down pressing the saddle continually, just like the action of riding real horse. The horse could not only run in straight line, but also swerve even in the narrow room.UFREE-HORSE can be put in various places as your house, garden, squares, parks, footpath and amusement ground and any flat ground. UFREE-HORSE also can act as the amusement park ride equipment. Riders can play horse racing game together. Furthermore, it is good fitness equipment for the muscles of waist, abdomen and legs. 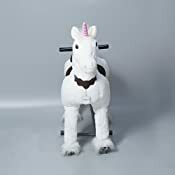 UFREE-HORSE is a good toy for both children and adults. It has different dimension and two-position stirrup to meet different peoples' need from 3 years to adults. It will bring you the feeling of riding real horse. 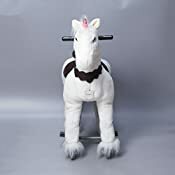 Kids will be very excited to leave their rocking hobby horse and jump on this walkable "real horse". UFREE-HORSE will bring the children an unforgettable childhood, and it will bring a happy life to each family. It will be the best gift for Christmas. 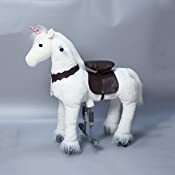 UFREE-HORSE is approved CE by (EN71 standard), and USA toy safety standard ASTM F963, tested by SGS, the world's leading testing and certification company.